Share the Good News - the first National Directory for Catechesis in Ireland - was launched at the Mater Dei Institute of Education in Dublin. Bishop Bill Murphy said: “We have waited many years for a National Catechetical Directory. It was worth waiting for…. The Directory is timely in that it responds to a felt and expressed need for renewal in the Church in Ireland. In spite of all the very serious difficulties the Church in Ireland is experiencing at the present time, renewal is happening and very many groups and individuals involved in renewal are seeking guidance. “I welcome the Directory wholeheartedly. I wish to point out that it is not a magic formula or a programme which can be launched in the way one would launch a sales push or a political platform. Faith is a deeper matter; it is a matter of a deep encounter between the individual and God. “The National Directory is directed to and must involve the entire Church in Ireland. It is not a document entrusted to the catechetical establishment. It is a time bomb thrown into the catechetical establishment and indeed into the religious education establishment. It is an invitation to break away from our current situation which is overly school-oriented and bring back into the picture in a more focussed way the central role of the parish and the family. It is a reminder that catechesis does not end with the Leaving Certificate…. “Our catechesis must assist people to enter into the religious sense in a culture in which it is increasingly absent. Without this, catechesis would only become indoctrination, and a catechesis of indoctrination does lead not to freedom but to fundamentalism,” Dr Martin added. In the spirit of the Second Vatican Council, and of the pastoral attentiveness to catechesis with which the Church has concerned itself since, Share the Good News seeks to encourage renewal within the Catholic community in Ireland as it endeavours to make the Good News of Jesus Christ more fully known and available to all. It does so, as pointed out in the Introduction to the Church’s General Directory for Catechesis, by situating catechesis within the call to evangelise, taking account of the particular circumstances and needs of the local Church, and by helping people to appropriate the content of the faith as presented in the Catechism of the Catholic Church. This National Directory provides the Irish Church with a framework indicating principles and guidelines for evangelisation, catechesis and religious education today, and motivating us to study and research all the means available to bring the Gospel to life anew every day. Share the Good News has been reviewed and approved, according to established norms, by the Vatican’s Congregation for the Clergy and Congregation for the Doctrine of the Faith. The Irish Episcopal Conference wishes to acknowledge and support the wonderful catechetical work that is ongoing, the length and breadth of the country, and the great variety of faith development initiatives for adults as well as for young people that are emerging North and South. It is difficult to express adequately our gratitude to all those who contribute to the Church’s catechetical ministry in parishes, schools, groups and communities, as well as in their homes and at diocesan and national levels. We invite you, wherever you may be on life’s journey, to take this opportunity to open yourself again to the mystery and message of Jesus Christ. Guided by the Holy Spirit, let us enter, once more, into energetic proclamation and discussion of the Gospel. Together we can find the resources necessary to build on the time and talents we have been given by the Living God and so make the coming decade a period of great catechetical renewal. We extend our profound thanks to Dr Gareth Byrne, writer and editor of this important text, to his Advisory Group, Linda Kiely and Brendan O’Reilly (successive National Directors for Catechesis), Roger Maxwell, Raymond Topley (RIP) and Grainne Wilson, for their ongoing commitment, and to the final editing team, Dr Byrne, Bishop Martin Drennan and Professor Brendan Leahy. We congratulate all the members of the Episcopal Council for Catechetics for overseeing this project with enthusiasm. We offer our gratitude also to the many hundreds of people nationwide who wrote in response to the invitation for submissions, to those involved professionally in theological, catechetical, religious education and pastoral ministry who gave of their rich experience, to diocesan advisers and other diocesan and national catechetical and education groups and associations, to priests, members of religious congregations and of lay communities and organisations, and all those individuals who have continued to offer their wisdom and insight. Particular thanks to the Episcopal Commissions/Councils for Doctrine, Education, Theology, Pastoral Renewal and Adult Faith Development, Liturgy, Justice and Peace, Missions, and Emigrants, for their generous contributions. Special thanks to Veritas for the preparation and production of this very attractively presented text. Here is inserted the recognitio (or decree of approval) of the text of the National Directory for Catechesis in Ireland signed by the Prefect of the Congretation of the Clergy, Claudio Cardinal Hummes and the Congregation’s Secretary, Archbishop Mauro Piacenza, given on 8th September 2010. 1. The Christian faith, like the Word of God, is something alive and active (See Heb 4:12a). Christ has set our hearts on fire (See Lk 24:32). Like so many in the gospel stories, we too have heard Jesus Christ calling us. He continues to reach out, drawing near to us in our own particular places. He is conscious of each person in their need and he addresses us personally. This is his way. He has come among us in our humanity and he remains with us always. Of the sick man at Bethzatha he asks with intent: ‘Do you want to be well again?’ (John 5:6). He surprises the Samaritan woman at the well, and upsets his companions, when he makes a request of her: ‘Give me a drink’ (John 4:7). And to the rich young man, on whom he looked lovingly, he offers an unanswered challenge: ‘Come follow me’ (Mark 10:21). Despite our weakness and the inadequacies of our efforts, we too have felt his closeness and known his care. He has touched our very being. As in Galilee two thousand years ago, Jesus Christ offers us, now, healing and forgiveness, comfort and challenge, the tenderness and pain of all-embracing love, and a peace in God’s presence rooted in commitment to one another and to whole-hearted service of our neighbour. Prompted by the Holy Spirit, we seek to live our faith in Jesus Christ and become the supportive and unified community of disciples that he calls us to be. We are convinced that knowing Christ’s love for us can change our lives, convert our hearts and transform our world. As members of his Church, we trust in the power of Christ’s love to prevail over our human limitations and, even in confusing and turbulent times, we reach out with Jesus Christ to serve the world and one another. True Christian faith can renew all things and lead us to live in love with Christ, now and for ever. 2. The years since the Second Vatican Council have seen a tremendous effort in the Church worldwide to express for our times the centrality of evangelisation and catechesis in the life and mission of all members of the Church. Gravissimum educationis (1965), the Council’s Declaration on Christian Education, together with its other documents, set the scene for this reflection. The General Catechetical Directory (1971), called for at Vatican II (Decree Christus Dominus 44 of Vatican Council, On the pastoral office of bishops, 1965), The Rite of Christian Initiation of Adults (1972), Pope Paul VI’s Evangelii nuntiandi (1975), and Pope John Paul II’s Catechesi tradendae (1979) and Redemptoris missio (1990), all contributed enormously to a renewal in understanding of how we proclaim the faith. The Catechism of the Catholic Church (1992) added a rich and comprehensive exposition of the content of Christian faith. In its wake, the new General Directory for Catechesis (1997), bringing the original 1971 document up to date, created a synthesis of all that had been achieved. This National Directory for Catechesis in Ireland seeks to lay down a framework and principles, suited to local needs in Ireland, for the presentation of the Good News of Jesus Christ. It does so with enthusiasm and joy, for to know Christ and to experience in him the love of God, revealed to us in our time by the kindness of the Holy Spirit, is to come to a whole new way of life, lived in faith, hope and love. This National Directory for Catechesis is not a catechism, a programme or a theological explanation of all that might be contained in a catechism. It does not seek to offer a particular catechesis on the many and varied themes uncovered here. It contents itself, instead, in pointing to the Catechism of the Catholic Church, the complete statement of the Catholic Faith, and searching out sure ways of making the treasures to be found there more readily available to people in Ireland today. This is an opportune time to encourage members of the Catholic Church in Ireland to become engaged in renewed reflection, leading to a reinvigorated approach to teaching the Faith and sharing the Gospel. The preparation of this Irish National Directory for Catechesis is only the beginning of this process. It follows the model and principles laid out by the General Directory for Catechesis, seeking to establish guidelines upon which catechesis and all forms of faith development can best be pursued by the Church in Ireland. As a result of various consultation processes undertaken in its preparation, it hopes to reflect and encourage good practice at all levels of evangelising action within the Catholic Church in Ireland. It seeks to help members of the Church to speak confidently of the Gospel message, which we have always cherished in Ireland and yet are still only coming to know. It sets us on a journey as a pilgrim Church (Novo Millenio Ineunte 8-13), searching for new ways to encourage all to seek Christ. It entices us to pause with him awhile, to come to understand more fully the power of his love, and to meet him face to face (Novo Millenio Ineunte 16-28). 3. Chapter 1 of this National Directory for Catechesis in Ireland reviews the situation today in Ireland, North and South, as the context within which we proclaim in words and action the Good News given to us by Jesus Christ. The rapid pace of change experienced in most societies across the world today, if anything, seems to be even more apparent in Ireland: new understandings, new infrastructure, new forms of communication, new initiatives all around. New peoples, new cultural dispositions and, for Irish society, new religious traditions are now part of our day-to-day experience. The complexity of the world in which we live is evident. Yet, amidst uncertainty and insecurity, the Christian faith is good news for people today. Our processes and programmes focused on education in Christian living must be relevant to as many of them as possible and to the circumstances of their lives. Chapter 2 presents the main purpose of this reflection: conversion to Christ and the ongoing faith development that can take place at a whole series of levels throughout our lives, from cradle to grave, on our journey to the fullness of the Kingdom of God. Evangelisation is a lifelong process that admits of a series of moments which may be isolated for the purpose of reflection but which are interconnected as part of the continuum of life. Initial proclamation, Christian initiation, catechesis, religious education (at least from the perspective discussed below), new evangelisation and theological reflection all have a part to play in the continuing lifelong education in faith that characterises Christian commitment. All the efforts of the Church in this area, under the inspiration of the Holy Spirit, indicated within these distinct but interrelated headings, we draw together using the comprehensive title ‘faith development’. In Chapter 3, we consider the essential framework around which we live our Christian lives. Our starting point and underlying logic is the pedagogy of God. God’s love is revealed to the world in every time and place, most particularly in Jesus Christ, calling each one of us to a response in faith. Christian faith is understood as a way of life, and the close connection between educational methods and the content of faith is noted. Particular significance is attached to choosing methodology that suits the specific circumstances of those interested in learning about Christian faith and developing their faith life. The Deposit of Faith and hierarchy of truths revealed in salvation history and taught by the Church is presented in a concise manner. The four themes set out in the Catechism of the Catholic Church, and dealt with there in detail, are also indicated here: the Profession of Faith; the Celebration of Christian Mystery; Life in Christ; and Prayer in the Christian Life. The chapter concludes with reflections on the search for Christian unity as an essential disposition of Christian living, on the challenge of bringing the Gospel into dialogue with the culture of our time, and on the need for respectful inter-religious and inter-cultural dialogues. Chapters 4, 5 and 6, together, consider the types of learning appropriate within the Irish Church so as to attend to the real faith needs of people. Chapter 4 addresses the primary question of adult catechesis and ongoing faith development. All levels of evangelisation are considered. Once again today, there is need for an initial proclamation of the Gospel to those who do not know Jesus Christ. There can be no presumption, however, on any of our parts that we have come to a point in our lives where we no longer need to seek a deeper understanding of our religious faith. In Chapter 5, the faith formation of children and young people is explored. Sharing faith with a new generation is understood as the work of home and parish, supported by schools. The positive contribution of the education systems in Ireland, and of generations of teachers, in establishing an appreciation of the significant place of religion in life, is acknowledged. The partnership between home, parish and school in the Christian initiation, religious education and ongoing catechesis of young people is reviewed. Chapter 6 invites an inclusive approach that addresses the needs of those who require specific attention and specialised forms of faith development: among others, those who are socially deprived, people with special needs, the Deaf Community, the Travelling People, newcomers of every kind, and people living with serious illness. Chapter 7 is the culmination of this Directory, bringing together, under the format of objectives and indicators, all that has emerged in this reflection. The objectives set out the policy to be pursued over the coming years according to local needs and possibilities. The indicators are steps along the way, which, when achieved, suggest progress toward the realisation of the particular objective. These objectives and their indicators are designed to ensure that the core catechetical values espoused in this Directory are encouraged nationally, at diocesan and parish level, in Catholic schools and third-level colleges, and within Catholic lay communities and organisations. This formula is used in order that implementation is given high priority. It provides the basis upon which evaluation can take place locally at regular intervals. The Directory itself should be reviewed within ten years. It should be revised according to the new needs and new questions that its own implementation will have helped bring to the surface. 4. The National Directory for Catechesis in Ireland is a document for implementation and discussion among all the members of the Catholic Church in Ireland. It seeks to support all those responsible at diocesan and national levels, particularly bishops, in their role as leaders of the faith community. It encourages parents, guardians, grandparents, godparents and sponsors, and all family members, in their primary responsibility of sharing faith in the home with the coming generations. It endorses the efforts of priests, deacons, parish pastoral councils, pastoral workers and others, at parish, groups of parishes and deanery levels. It celebrates the commitment of school principals, teachers, religious educators, school chaplains, boards of management, patrons and trustees, as well as diocesan advisers for religious education. It recognises the tremendous efforts of religious congregations over the years to provide for the faith needs of the young, the poor and the marginalised. It looks forward to the energetic contribution of new lay communities and groups in building up the faith in Ireland. The National Directory for Catechesis in Ireland will require time to be fully digested and put into action. It is to be hoped that it will not be read merely once, and then put off to one side and forgotten. We should all feel encouraged to come back, again and again, to the Directory, as a source of inspiration and direction. Each day, we can become more aware of the enlightening influence that informed and reflective faith can have in life. We can find more time, even in our busy lives, for prayer, study and conversation around faith. We should desire the same kind of knowledge and confidence in this area as we require of ourselves in many other matters. Readers of this Directory may wish to begin by focusing on their own particular area of interest, but they are encouraged, also, to realise that they are part of a bigger picture. A renewed adult faith that grapples with all the realities of life is possible, but it does require attention and effort beyond what we receive as children. We must learn to own our faith and become ambassadors for Christ in a world that has good reason to question, but sometimes prefers an easy cynicism to the challenge of love. 5. The style employed in the writing of this document seeks to be comprehensive yet accessible. Documents of the universal Church are relied upon. It is hoped that the language used is simple, clear, inclusive and relevant. Where a passage from another author is quoted, it is given as written. There is an attempt to involve the reader personally. As well as the text itself, highlighted quotations, explanations and ideas are designed to draw the reader or group of readers into reflection and prayer. Images are also used to help readers to reflect on the different ways in which God touches into our lives each and every day. Captions are not provided, because what is important is the atmosphere created as one is drawn into contemplation of God’s presence, rather than knowledge of where the place is or who the person might be. These pauses are calculated to help readers assimilate the themes addressed, engaging them deeply at a variety of levels. They are also intended to provide starting points for group discussion and to open the Christian community to Christ’s call to love. We take this opportunity to invite people to become involved in a process of catechetical reflection and pastoral action, on the basis of this document. The text is itself a tool for evangelisation. It invites the reader to journey personally with Christ within the developing community that is the Church and, in the power of the Spirit, to contribute to its growth. All of us can be good news, living and sharing the Gospel with one another and with the world, in what we say and do and are. will, we believe, be invaluable for those writing textbooks and creating resources for home, parish and school. It suggests parameters within which priests, men and women religious, Faith Development Coordinators and other pastoral workers, diocesan advisers, parish ministers and volunteer catechists, principals and teachers in Catholic primary schools, and principals, religious educators and school chaplains in post-primary schools can be trained. The dialogue in faith that this Directory gives rise to will be the foundation upon which the future of the Catholic community in Ireland will be built. It will require substantial resourcing, both in terms of personal time and financial commitment. We are convinced that when the Christian community understands the value of sharing its faith and growing in faith, new resources will be found. 6. We would like to conclude this introduction by noting our hope that this Directory will be an instrument that contributes in its own way to peace, reconciliation and new hope in Ireland. We see the Directory as an invitation to all people to enter into dialogue about the meaning for us today of the Christian heritage that has been passed on from previous generations. We are confident that honest discussion of Christian faith, and careful consideration of its impact on our lives, will offer all of us, including those who find themselves in times of doubt, an opportunity to contribute to renewal in the Church. 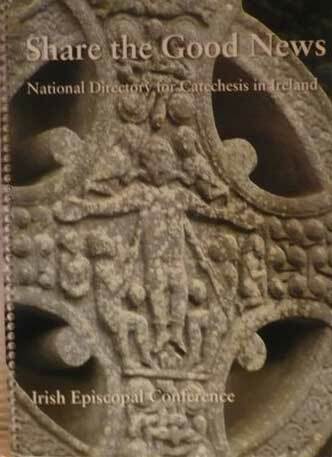 While this Irish National Directory for Catechesis is a document of the Catholic Church, we hope that it will also encourage committed ecumenical, inter-religious and inter-cultural dialogue on this island. As we in the Catholic Church reflect on our faith, the discussion the Directory gives rise to will, we trust, contribute to a respectful dialogue with those of other Christian denominations, with whom we share so much in common. The ecumenical journey that we are involved in should be recognised as one of the great adventures of our time, as we learn to support one another in living committed Christian lives. The invitation to dialogue is also made to those of other religions who believe in God, suggesting an exchange of ideas based on openness, informed understanding and mutual respect. There is so much, we believe, that can be learned, one from the other, about life lived in God’s presence. To those who do not profess belief in God, we also express the hope that we might enrich one another and together come to new understanding on our journey through life. Informed debate will help us all to grow in mutual human respect and genuine care for one another. We have confidence that under the inspiration of God the Holy Spirit, the Christian message has something to say to everyone. Our deep-felt hope is that new ways of expressing our faith will renew us, contribute positively to the up-building of our world, and bring inner strength and lasting peace to all. For the Christian, faith is always a journey undertaken in the tender and caring friendship of the Risen Christ, whom we seek to imitate in this life and follow into the everlasting life that is God’s unending love. Draw near to me, you who are untaught and lodge in my school.